The rain pitter-patted all night on the roof, but I was cozy under the zany coloured quilt that I quilted last night. I put the binding on this morning. 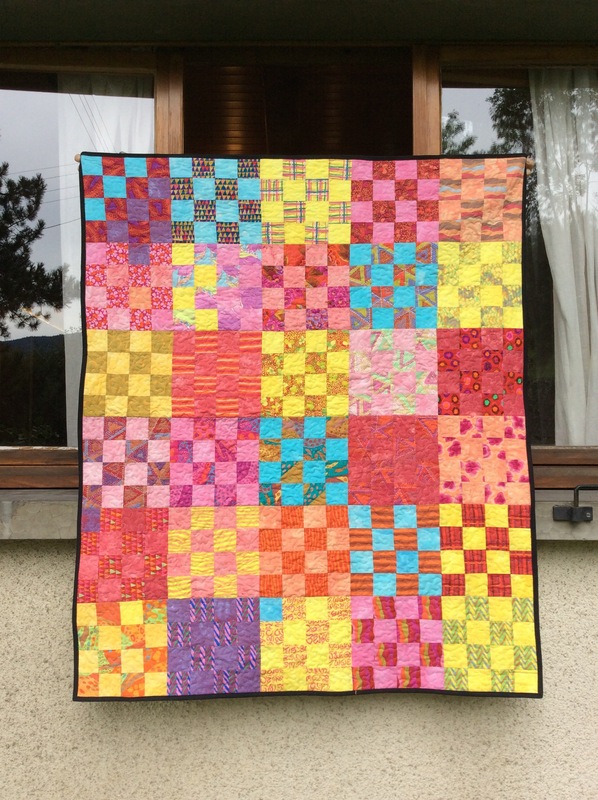 Crazy colours, hand dyed fabric between the patterned squares (a pile of rather badly-cut Kaffe Fassett squares sold as a set). I think it will be perfect for cheering up my new flashy but very stark office at the university. 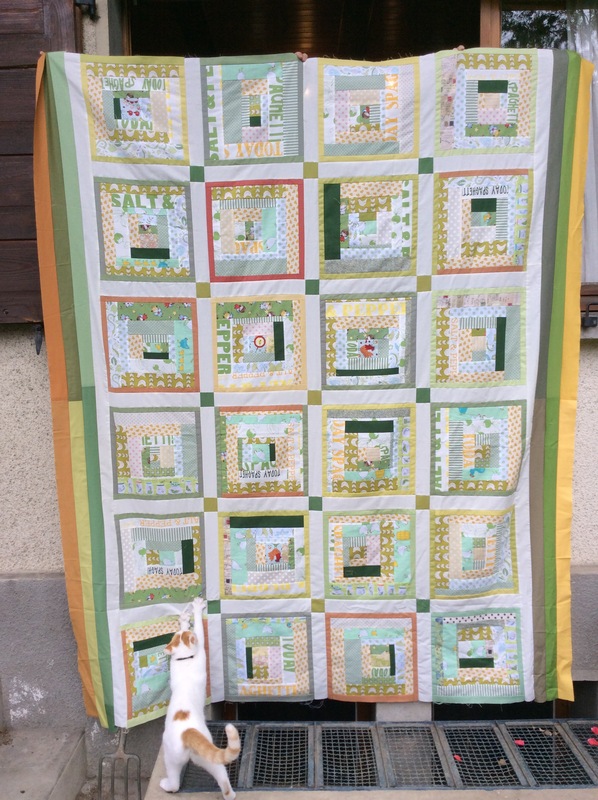 I also finished the so-called Chicken Quilt, but didn’t end up basting it since the linen I had chosen turned out to have a wierd waxy coating that I am not sure will wash out. Very scrappy, made using bits of fabric that had been lying around for too long unloved. It might need another border at the top perhaps? But it’s getting very big… Some of the chicken fabric is from one of my former lovely doctoral students! So kind. What fun we had! Even the cat obviously really likes it. 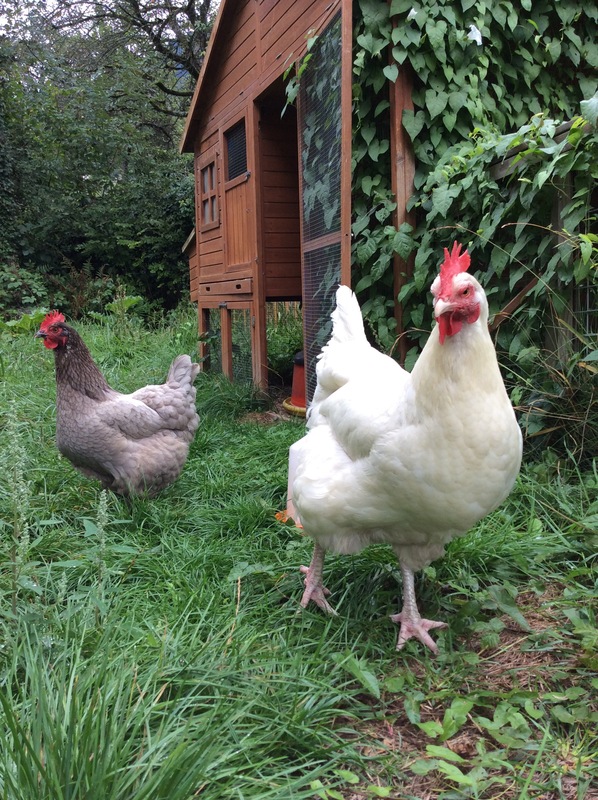 Back to the Real World now… But first: Ms G’s two chickens! The deserve their moment of fame too. Fabulous! 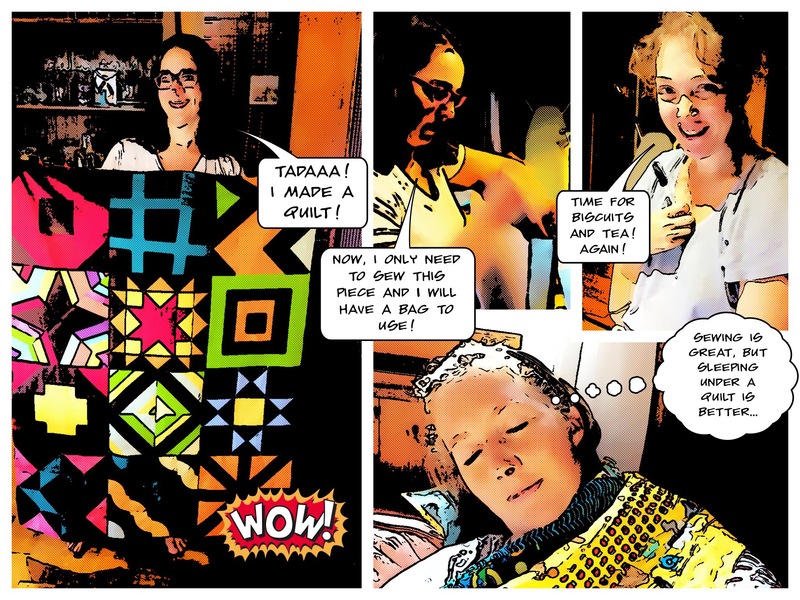 A stark university office is the perfect place for the colorful quilt. Isn’t it funny how cats gravitate to quilts, even quilts in progress? Absolutely! Cats seem to know there is a sort of magic effort put into the fabric. Or maybe it’s just the smell of love… or of sweaty fingers! In any case, Ms G’s cats spent the entire weekend lying on various bits of quilts, pieced or not.